Latrodectus geometricus (?) 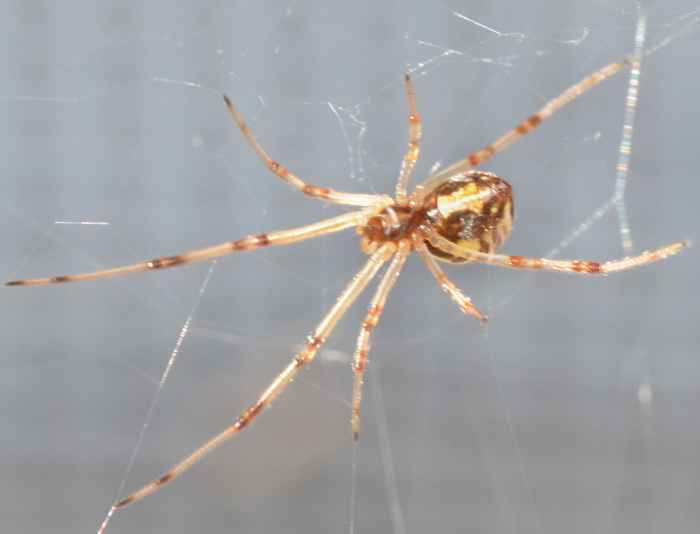 (Brown Widow). Size: approx. 10 mm. Photo: 09/01/11, 10 am. This is possibly a brown widow (Latrodectus geometricus). They have a highly variable color, are timid, and often found on houses. Unless a person is allergic or has a pre-existing medical condition, the bite causes seemingly no medical concern. Male and immature specimens do not bite. Females live up to three years and produce up to 5000 offspring per season. If present, the eggsacks are more recognizable than the spider itself. They are pale, spiky spheres.